Want your doggy to stop begging for more food after his meal? Overeating causes problems with his health? 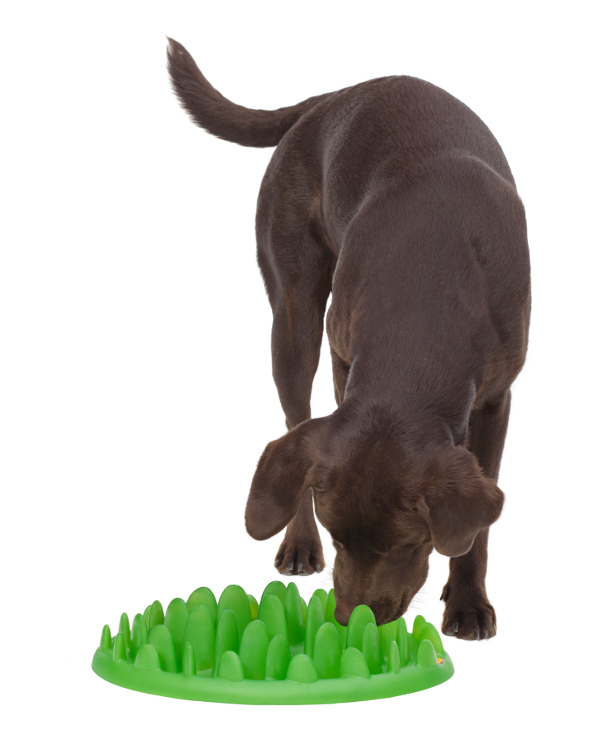 Order this Amazing "Green Lawn" Dog Feeder that will help your dog to be healthy and stay safe! 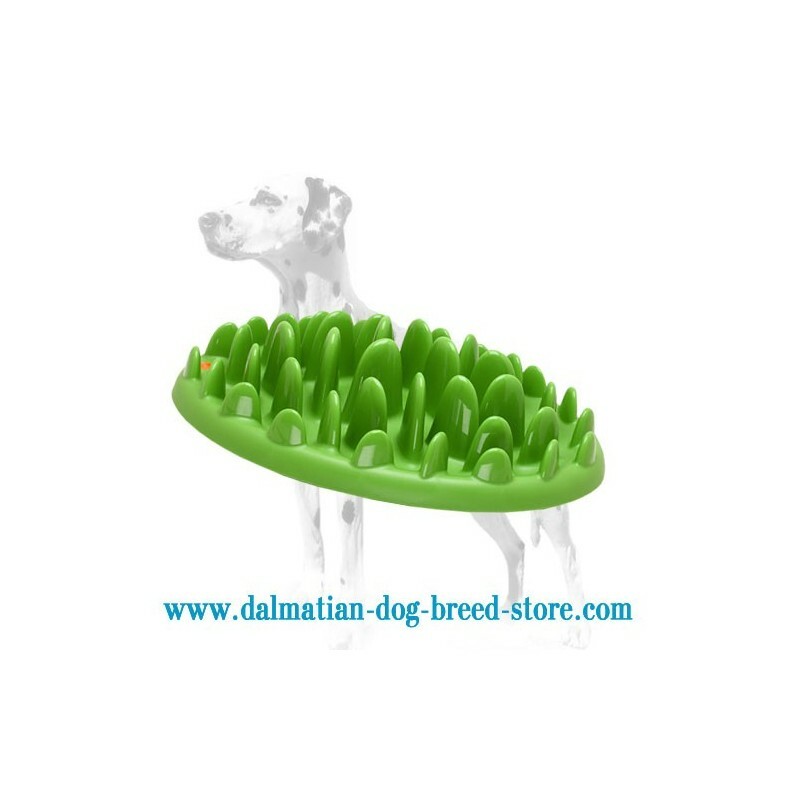 This Dog Feeder is made of dog-friendly non-toxic safe plastic material that won't cause any harm to your Dalmatian's health. It is suitable for all types of food (dry or wet) and easy to clean one - you can simply clean it with the help of your dishwasher! It is definitely useful and practical thing! 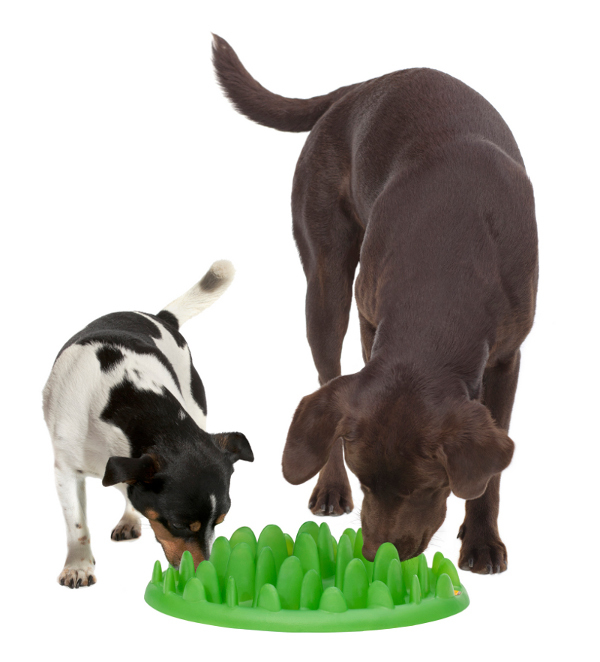 If you own a small dog you should choose Interactive Pet Feeder for Small Dogs. The basic differences of small and big dog feeders are the size of the feeder itself, the height of the blades and intended use. 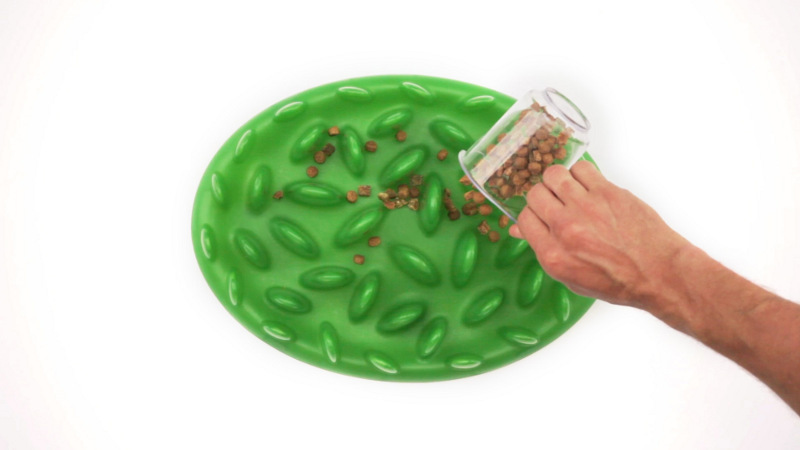 The small dog feeder is used for small dogs, dogs with short snout and puppies. 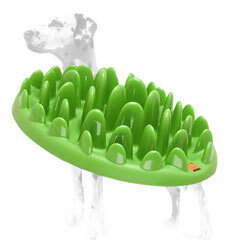 Our Big Dog Feeder is suitable for different dog breeds regardless the size. 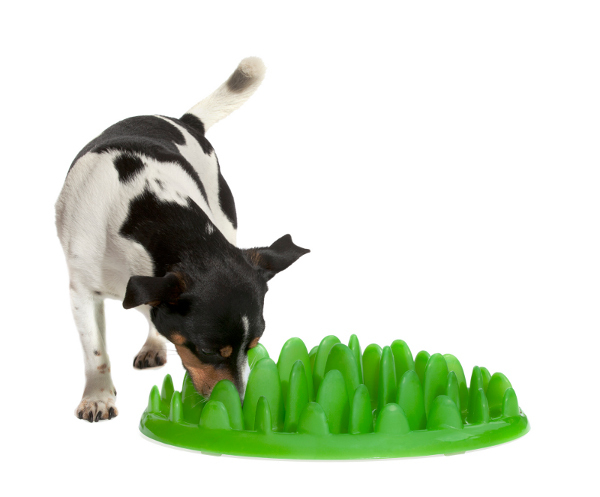 Our Interactive Dog Feeder will slow down your dog during his meal. We designed it so that your dog will have to overcome some difficulties and pay more efforts to reach his food, that prolongs the process of good consuming. 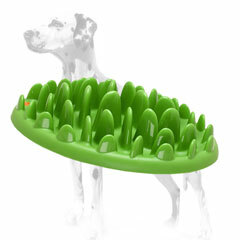 It will keep your dog's health in a good condition and prevents overeating, gulping and bloating. Due to its special design of a green lawn, the process of eating will become also an interactive one. It appears to be like a game, training and eating at the same time. 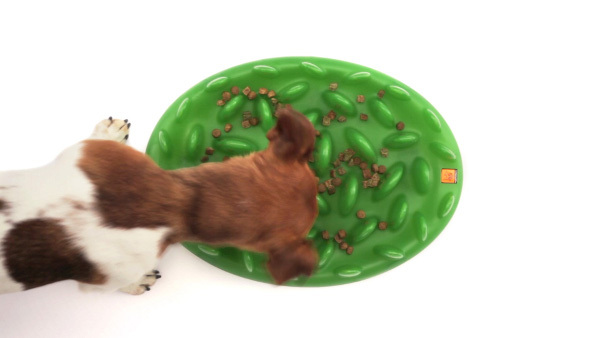 During such meal your dog will simultaneously stimulate his basic senses, spent more time for picking up pieces of food and will be grateful to you for such an interesting game.